As a tropical country, the Philippines usually enjoys a sunny climate most days of the year. Thanks to Mr. Sun, Filipinos have thought of many ways to beat the scorching heat. Head to the beach, dive into the pool or dip your spoon into a flavorful mound of halo-halo. 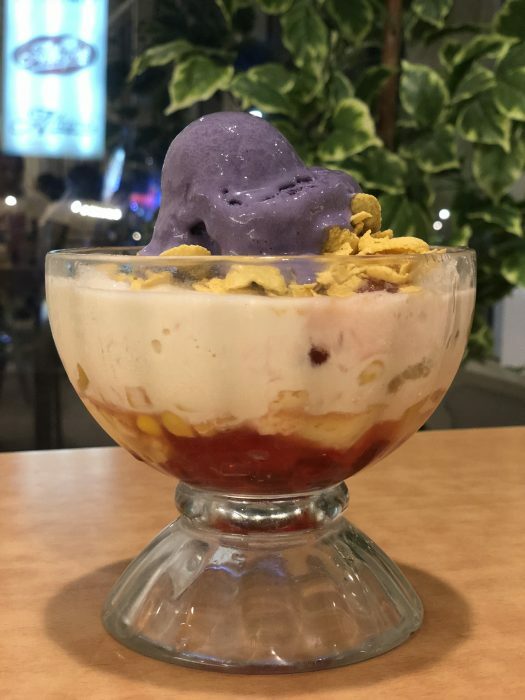 What is halo-halo? It’s the ultimate dessert in the Philippines! Over the years, halo-halo has become a staple food in the Philippines, especially during the summer. If cooling down is what you’re after, then halo-halo is perfect for you. Translated as ‘mixed’ in English, this dessert is at least a mixture of shaved ice, evaporated milk and sugar. To that base, various ingredients are added such as banana, purple yam, jackfruit, shredded coconut flesh, sago, sweetened beans and ice cream. Then everything is topped with crunchy corn flakes and leche flan (crème caramel). At first glance it looks like a Christmas tree that has been put on a blender because of the vibrant colors from the different ingredients all stuffed into a tall glass. Weird isn’t it? But once you taste it, the sweet creaminess of the entire mix will surely satisfy your dessert craving. 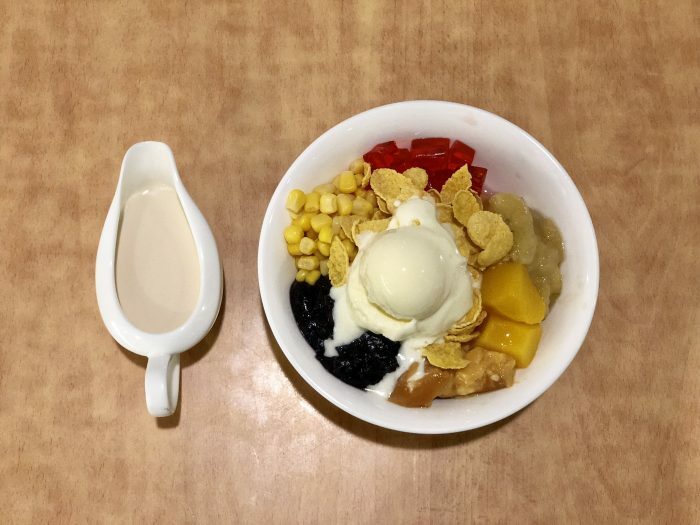 So if you want to beat the humid weather or just want to enjoy a refreshing dessert, go ahead and treat yourself to a bowl of halo-halo. If you happen to be in the Philippines, halo-halo won’t be hard to find since it’s on the menu in many restaurants. In fact, you can even buy it on the street! The ingredients may vary because every part of the country has a different take on halo-halo. Even each chef can add their own twist, but it will always be a creamy, sweet, and milky dessert everyone should try!